Bitcoin prices have corrected severely in the last 48 hours. The news flow suggests investors have concerns about increased regulation in China and South Korea. No doubt these headlines have spooked investors, but I think there is something else at work. 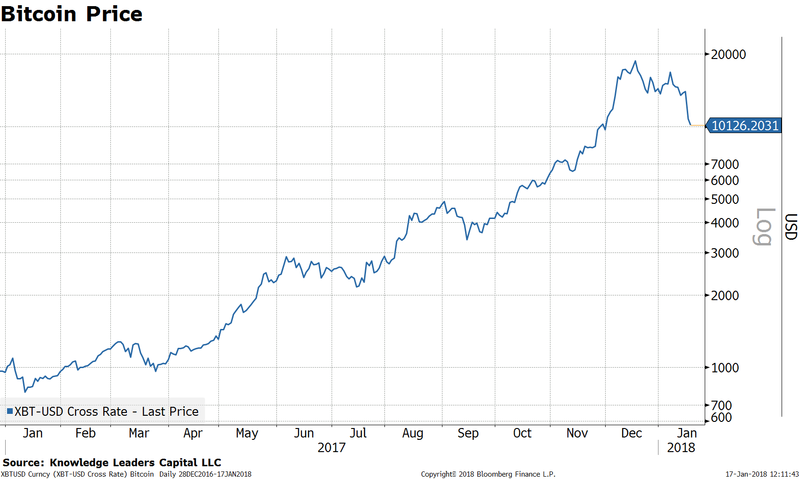 Over the last year, Bitcoin has increased 1000%, going from $1,000 to $10,000. And this is after an almost 50% correction from peak to present. 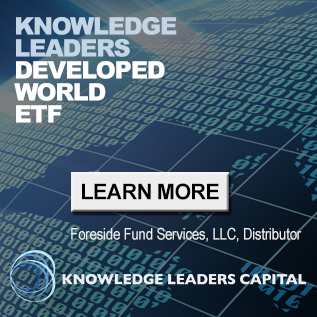 Mainstream financial products now exist that allow investors to speculate on Bitcoin. Specifically, on November 25, the Chicago Board Option Exchange (CBOE) started trading Bitcoin futures. 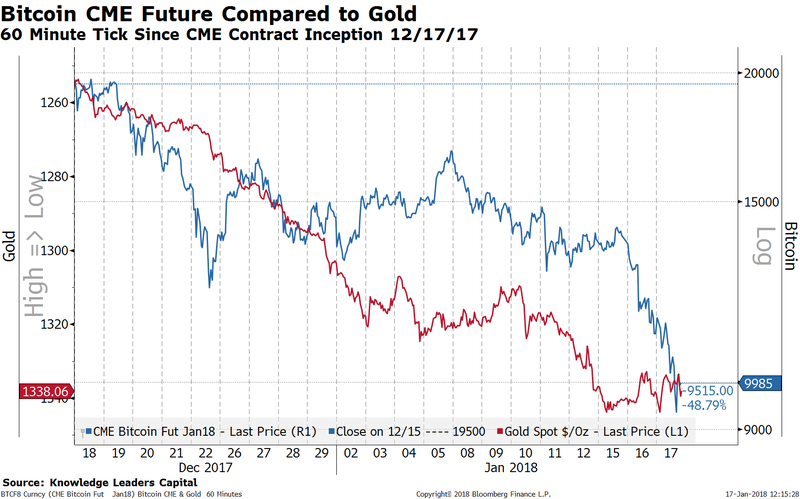 Then on December 17, the Chicago Mercantile Exchange (CME) starting trading Bitcoin futures as well. In the chart below showing Bitcoin over the last year at 60 minutes intervals, I call out the initiation of each contract. 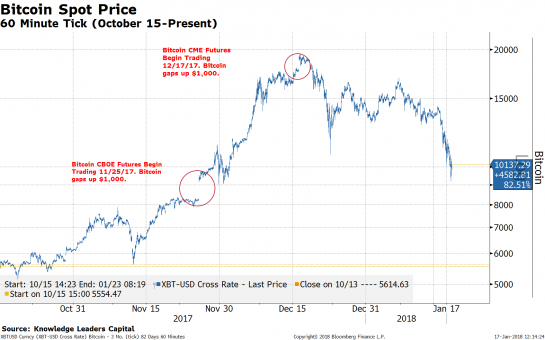 At the start of trading in each of these futures, Bitcoin gapped up by around $1,000. Soon after the CME contract started trading, Bitcoin prices closed the gap in a bearish fashion. 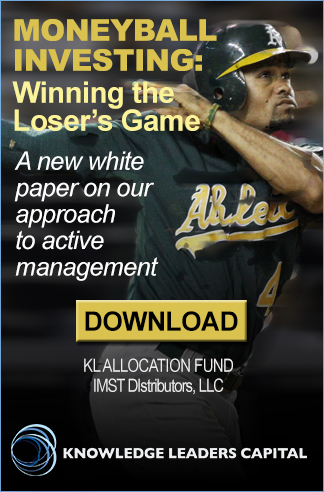 It now appears that the gap created in the wake of the initiation of the CBOE futures may be filled as well. We’ve noticed a few interesting cross asset relationships that have emerged since the start of the CBOE futures. 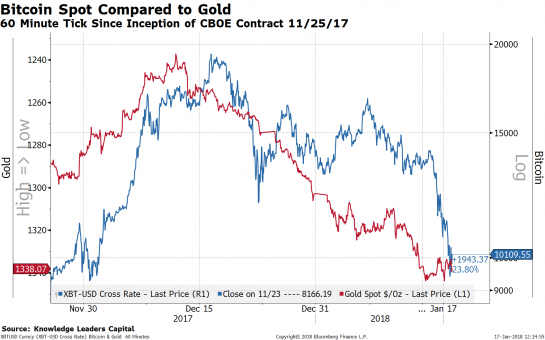 First, Bitcoin is inversely correlated with gold prices. 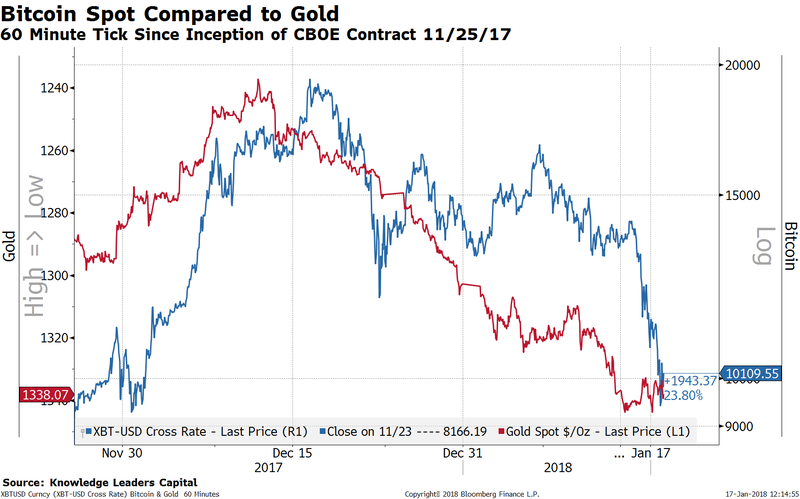 I inverted the left scale in the chart below showing that when gold rises, Bitcoin drops. We see the same pattern when we look at the shorter history of the CME contract. 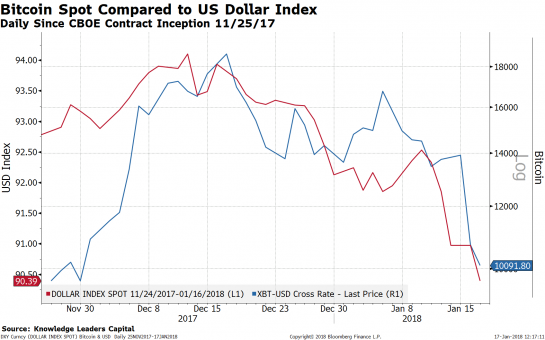 Next, Bitcoin is positively correlated to the US Dollar. Here again, we compared the USD Index to Bitcoin since the initiation of the CBOE contract. 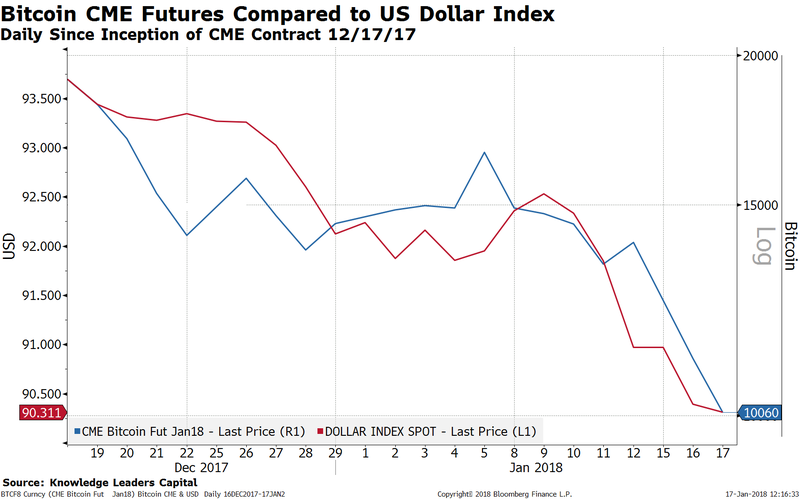 A clearer picture emerges when we compare the CME contract to the USD Index. 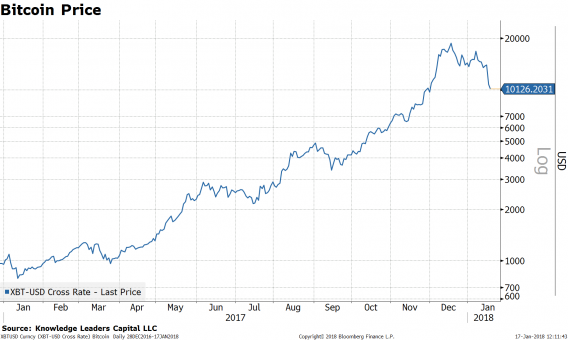 The bottom line is that Bitcoin has matured quickly and for whatever reason, is now behaving a lot like the US Dollar. 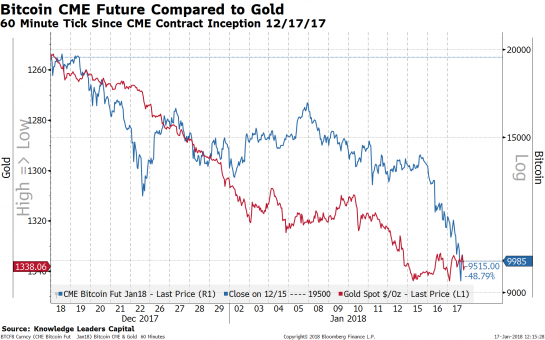 As inflationary pressures rise, the USD continues to fall and gold marches upward, Bitcoin prices may face continued pressure. My initial target price is $8,000, expecting the gap created in the wake of the CBOE contract to be closed. 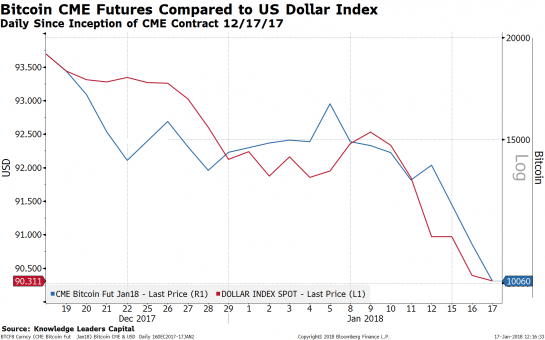 If the USD keeps falling, this may prove optimistic.